Are You Ready for Some Spring Skiing at Copper Mountain? By the calender, spring season starts in just a few days (March 20) on the vernal equinox, when the Earth reaches a kind of midway point during its inexorable journey around the sun. The days and nights are equally long and warmer weather is supposed to be on the way. In the flatlands and valleys, people celebrate by dusting off their golf clubs and bikes, but here in the high country, it's just the start of another phase of the ski season. 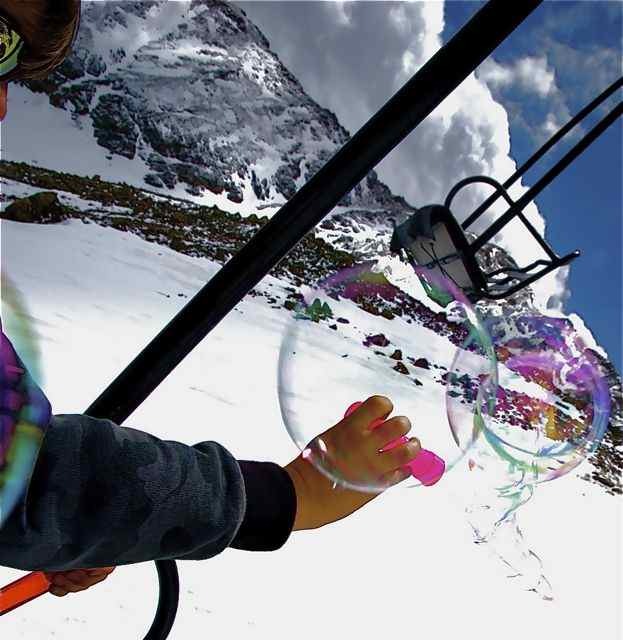 This year, with above average snowfall all season and cool temps lingering into the end of winter, spring skiing promises to be as good as it gets, with excellent coverage across Copper Mountain and the rest of Summit County's resorts. 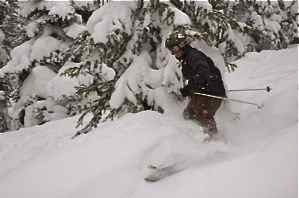 And savvy skiers know that March and April are often the snowiest months, as quick four- to six-inch storms alternate with warm and sunny days. For backcountry enthusiasts, spring also means that the snowpack is starting to solidify. With good timing and some basic mountaineering skills, you can maneuver through the hills and venture into terrain that's been dicey all winter long, but you don't have to go off-piste to find challenging terrain and natural snow conditions. 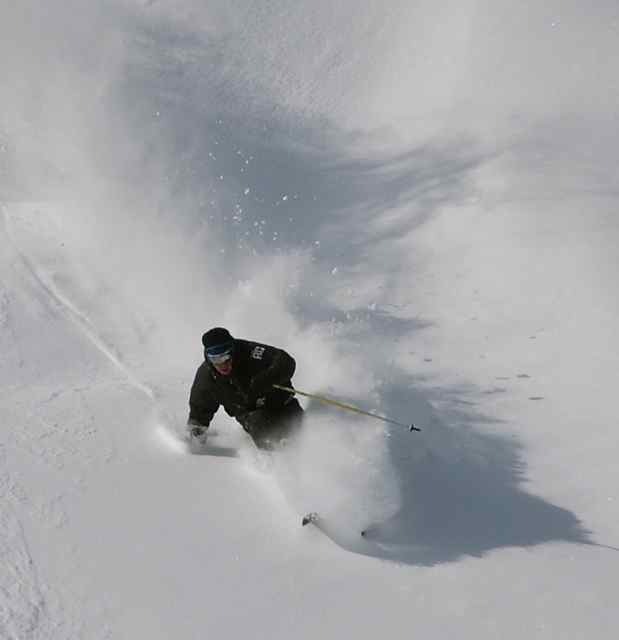 Nearly all the local resorts have pockets of terrain that feel a little like the backcountry, including Copper, where intrepid skiers and snowboarders can ride a snowcat, then hike to the steeps of Tucker Mountain for a taste of spring skiing bliss. At Breckenridge, you can trek out along the ridge from the top of the Imperial Express chair and test your skills on the giant cornices around the Lake Chutes, and Keystone offers snowcat tours inbounds bowls that also have a backcountry feel. Our favorite place to celebrate the passage of the seasons is on the East Wall at Arapahoe Basin, which has the most alpine feel of all. Parts of the East Wall are accessible via a traverse from the top of the Lenawee Chair, but the best stuff is off the upper ridge, requiring a 20 to 30 minute hike over North Pole Peak. With its high elevation and northerly aspects, the East Wall offers powder snow long into the spring, when the snow at most other areas has turned to muddy puddles. 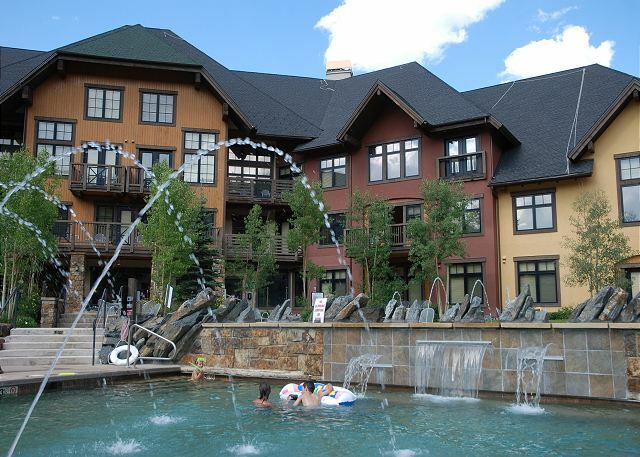 So pack up the car with picnic supplies, grab a spot on A-Basin's "beach" and enjoy the new season!